Macro photography print of an old, rusted, and worn red faucet knob inside a historic railroad construction building. Still life industrial machinery photography out of Savannah, Georgia. 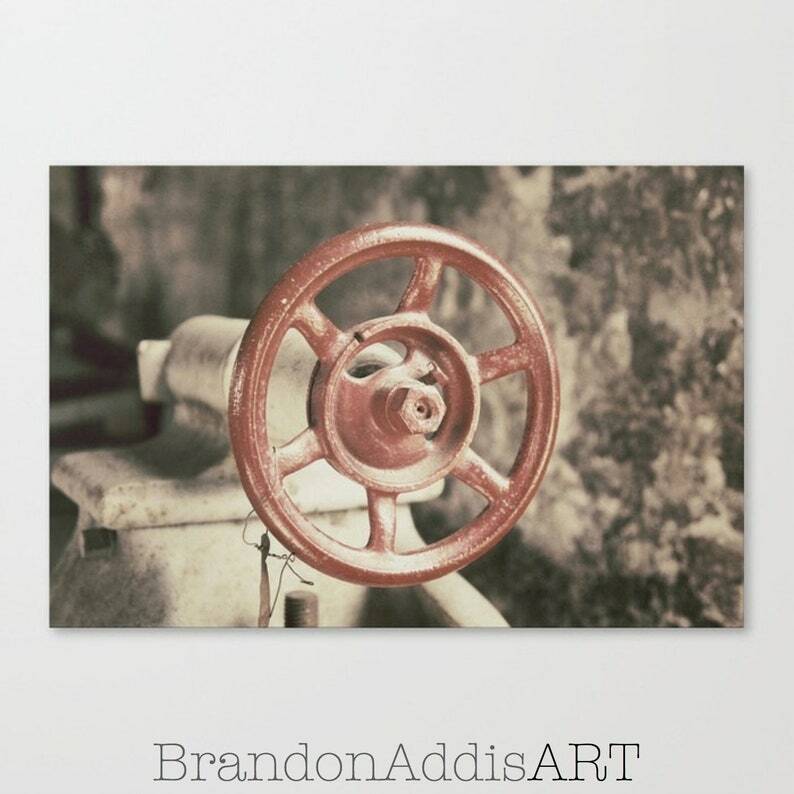 Contemporary rustic wall art by Brandon Addis.